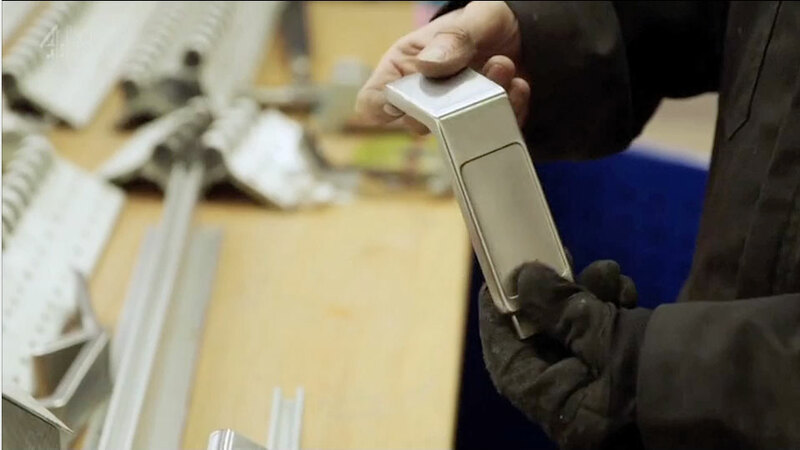 A set of A320 coat hooks as featured in Kevin McCloud’s Supersized Salvage. 3 hooks made from armrests, seat belts and overhead locker extrusion. 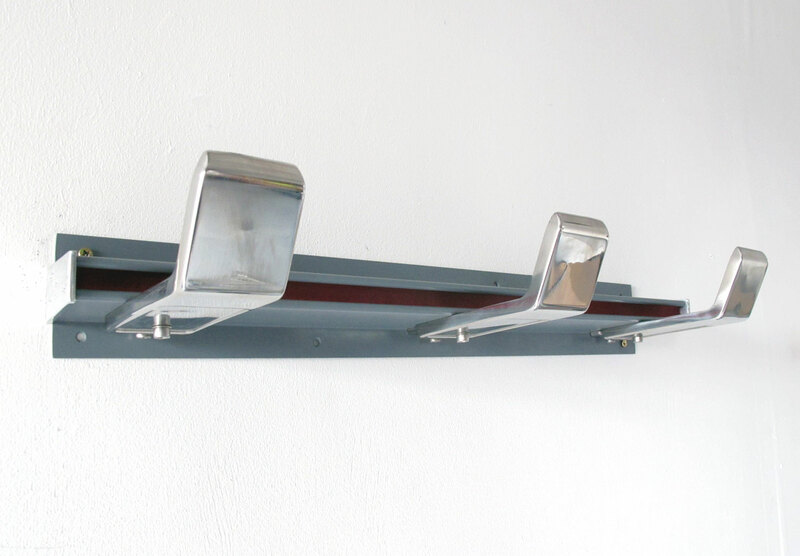 Every piece of these polished coat hooks are made from the aircraft featured in the programme. One of our most successful creations from the programme. 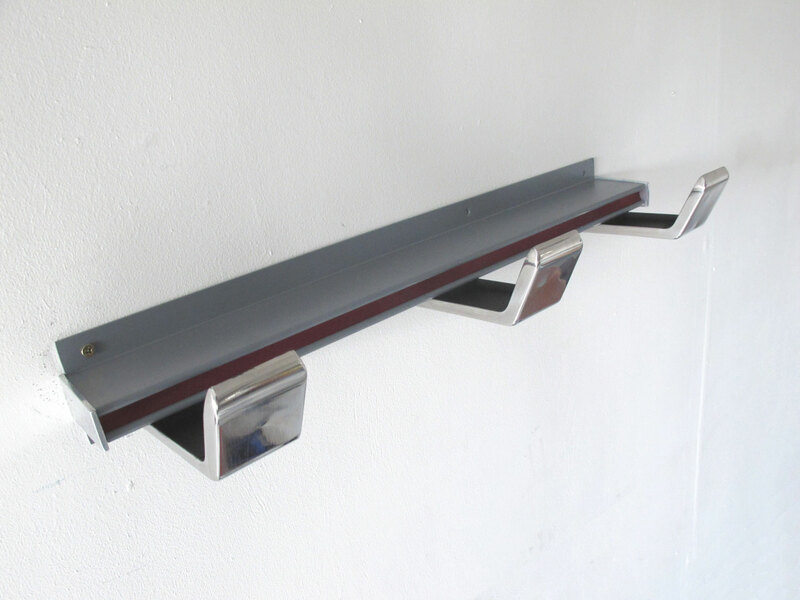 These highly polished coat hooks are very strong and practical whilst being a striking wall decoration. 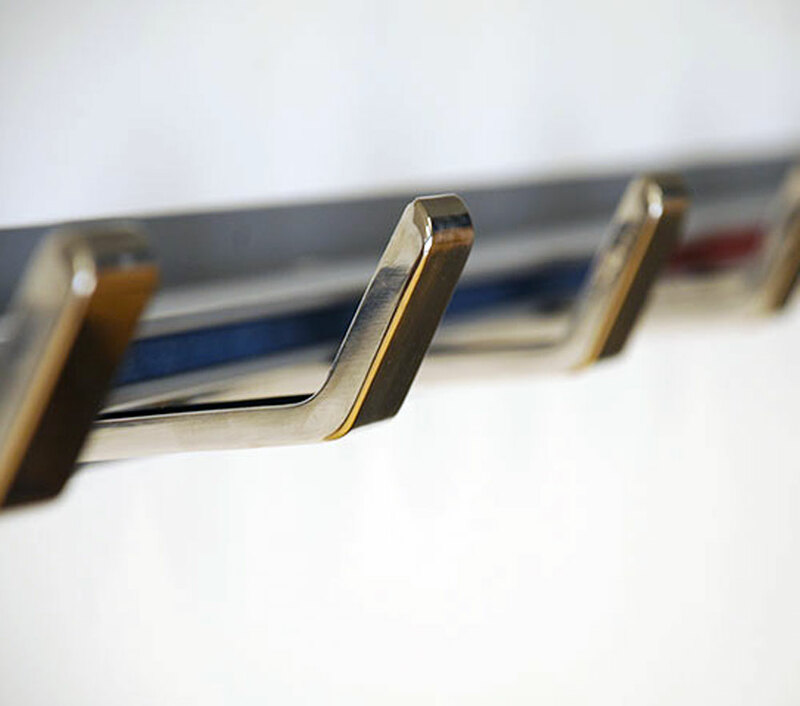 The three hooks are made from the stainless steel arm rests from the A320 Simca Aeroseat. This new set even feature the original ashtray (smoking on aircraft still legal in 1996). 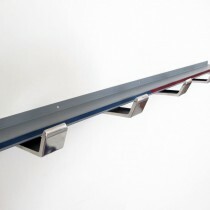 The steel has been highly polished to a mirror finish and the inside given a solid coat of paint. 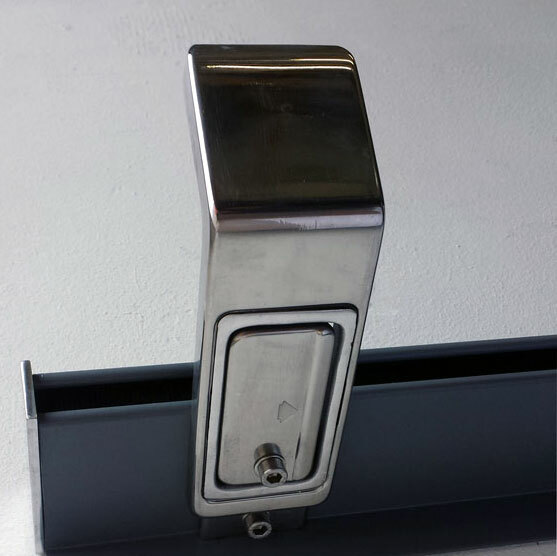 The back plate is made from the extrusion that holds the overhead compartment onto the fuselage. This is very study and features a decorative piece of colour aircraft seatbelt from the A320 inlaid in the backplate. Each set of hooks has a unique variations of seat belt colours. Blue, black, green and red. 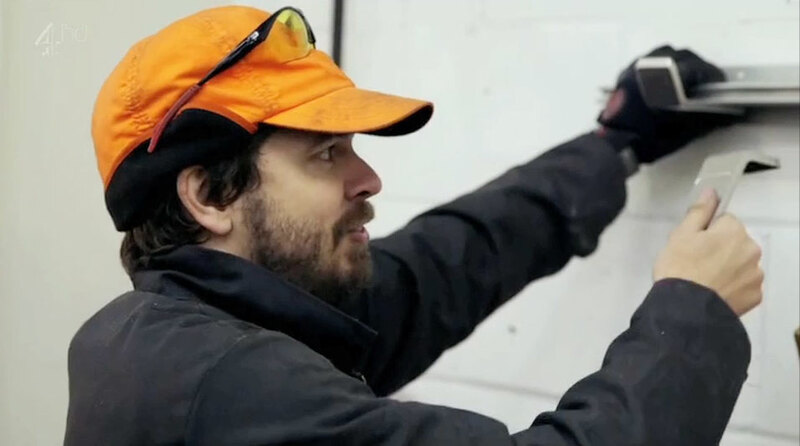 With the exception of the stainless steel socket bolts that hold the hooks together every part of this item is made from the original Airbus A320 featured in Kevin’s Supersized Salvage. 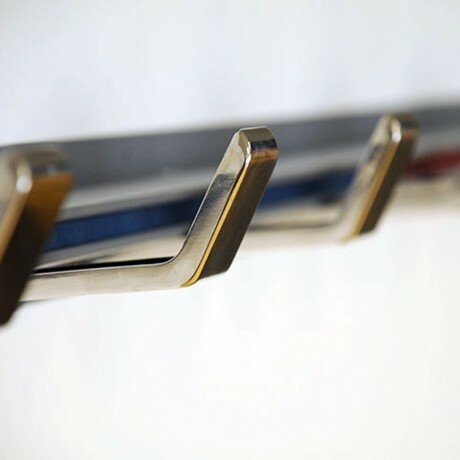 Be the first to review “Coat Hooks – 3 hooks” Click here to cancel reply.